The earliest listing I’ve found for this theatre is in the 1924 Polk Nashville City Directory. I was told that the theatre was designed by the Nashville architectural firm of Marr & Holman. It is currently used as a recording studio. A 2005 photo of the original entrance to the theatre from Woodland Street can be viewed at http://www.flickr.com/photos/maincourse/22960067/ There is a photograph on file at the main branch of the Nashville Public Library of the Woodland when it was still a theatre and before these unsightly additions were made to the faÃ§ade. 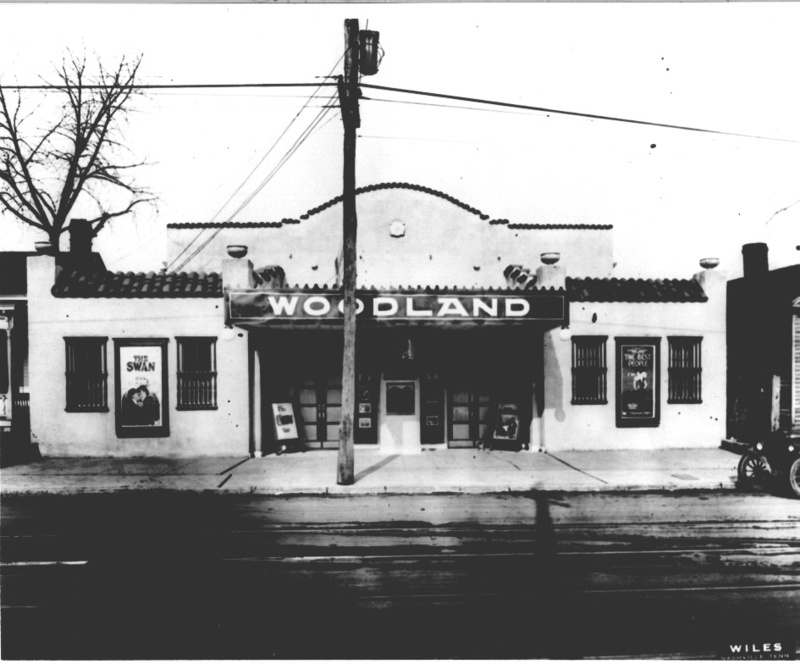 Nice pictures of the Woodland I grew up near there and it closed as a theater before I was born and I am not that young my dad would tell me about it because he was born on Woodland street. Jack: I can find plenty of references to the firm of Marr & Holman, formed in 1913, but I’ve been unable to find anything about an architect named Arch who was ever associated with the firm. Could somebody have been using “Arch” as an abbreviation of Architects? 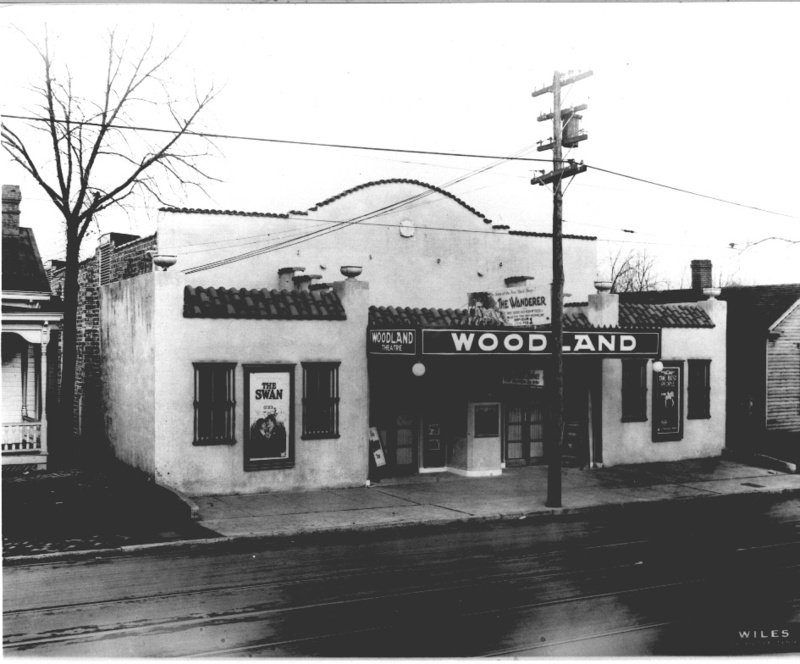 It’s certainly possible that Marr & Holman designed the Woodland, as they were among Nashville’s busiest architects during the 1920s, and theaters were one of their specialties. Beginning in the 1920s, they had a long-running contract with the Crescent Amusement Company to design all the circuit’s theaters in the Nashville region. The Woodland was definitely part of the Crescent circuit by the 1940s, and it it was built for Crescent, then it was almost a certainly a Marr & Holman design. Here is a PDF of the nomination form seeking the addition of a number of Marr & Holman works to the National Register of Historic Places. Though it has little information about their theaters (none of which were among the buildings being nominated), it does say they designed 61 theaters over the fifty-year history of the firm, and spcifically names the Princess Theatres at Bowling Green and Murphreesboro, Tennessee, as being among them. Opened 1924 closed 1955,still stands today as Woodland Studios. Could the pictures in the links above be from 1925? In researching two of the titles in the pictures, “The Swan”, and “The Wanderer”, were both released in 1925. Very good chance GM,as this theatre was new then and looked new and clean in the photos.And to Joes post the Melrose Theater a.k.a Loews Melrose and the Belle Meade Theatre were designed by Marr & Holman.Both of these theatres are listed on C.T.